All exercises work muscle, but not all exercises BUILD muscle. With over 200 photos, this book showcases exercises that build muscle and build muscle in all the right places. Many of these esoteric exercises create HIGH MUSCULAR TENSION and can be performed in a home gym with barbells, dumbbells and body weight. 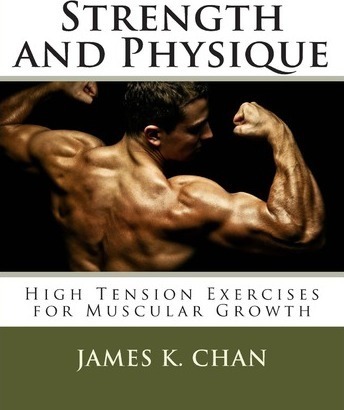 In this book, you'll discover: - How to build MASSIVE MUSCLE over your entire frame. - How to refine your musculature and give it the classical V-taper. - Why high muscular tension is the primary factor in muscle growth and what exercises produce this high muscular tension. - What rep ranges are best for each muscle group. - How to manipulate tempo to ignite muscle growth. - How to increase your pull-ups for a powerful, wide back. - How to forge an armor plated chest. Discover all this and much more! Learn the science of strength and the art of physique.